If we say that we have no sin, we deceive ourselves, and the truth is not in us. If we confess our sins, He is faithful and just to forgive us our sins and to cleanse us from all unrighteousness. 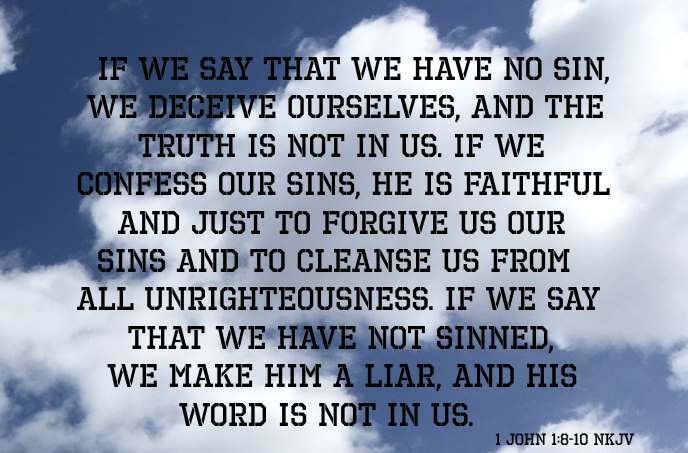 If we say that we have not sinned, we make Him a liar, and His word is not in us (1 John 1:8-10 NKJV). Living a repentant lifestyle is absolutely necessary to get to heaven as the concept of "once saved always saved" is not true. King David knew this to be true. After he committed adultery with Bathsheba and murdered her husband Uriah, David wrote Psalm 51. I like praying Psalm 51, just as it is, when I know that I need to make a course correction in my life, praying a prayer of repentance, turning fully back to my Great God and Savior, Jesus Christ. In the name of Jesus Christ, I pray!